Malawi police in Lilongwe has arrested vocal social media activist, Manice Hale a naturalized American citizen of Malawian dissent – known on Facebook as Manice Abiti William Dawood – of United Transformation Movement (UTM) at the Kamuzu International Airport as she was about to board her flight back to her base in United States . She is being accused of falsifying information and insulting the President. Police were searching her digital devices for information related to UTM. “She objected to her devices being searched without a warrant but they told her that they do not care about laws as they have instructions from the corridors of power to implement. “You can follow your laws if you get into government next year (za malamulo zanuzo midzapanga nokha ngati mudzalowe m’boma,” said the arresting officer. Manice, a nurse, came to prominence after she told TImes TV last week that she left DPP and joined UTM after seeing that President Peter Mutharika who is her uncle is failing to implement the very things he promised and to do when she and others campaigned for him. She is being accused of insulting the President through Facebook. A few weeks ago Mutharika threatened that he will arrest anyone who talks against him, citing an earlier UTM rally where his sister in-law former first lady Callista Mutharika called him a Mtchona, meaning a person who has spent several years away from home. 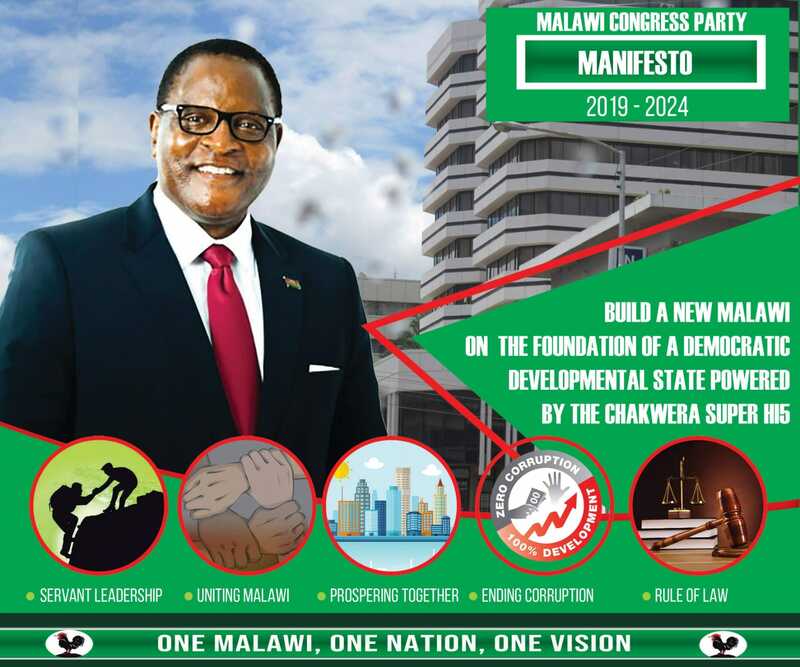 The Presudent said he is ready to use Section 4 of the Protected Flag, Emblem and Names Act as Malawi laws prevent anyone from insulting the President. Can NT tell us where exactly on the lady’s FB page we will find the alleged insult(s), or tell us what it (they) were? This is an archaic law and has to be amended or scrapped completely. The president will have to lock up 65% of the Malawi population. There are a significant number of critics out there more vocal than Manice. come on Mr president, you can rise above petty politics. I thought heads of state have thick skins. the ex president of RSA, Zuma, had gone through personal attacks and name calling for years with none of the critics arrested. This is democracy and therefore free speech rules. DzukaniAmalawi what kind of a creature are you? Buddy until then koma pano lamulo liyenera kugwira ntchito. I saw you are talking about zuma being insulted and noone was arrested, yeah maybe noone was arrested but a lot of them were murdered by the zulu tribe themselves. A lot of unsolved cases of mysterious murders. Ndipo ife alhomwe tikanakhala oyipa mitima like angoni, atumbuka omwe ali mazulu akuno kumalawi, bwezi titathothola anthu ambiri omwe mukutinyozanu. Mukutukwana alhomwe tonse chikhalirecho ena a ife sitinadyepo ndalama za boma, timadzilimbikila ndi kumagwiira ntchito tokha kuti mabanja athu achite bwini ndipo tikuyesetsa mbali yathu. SH…HOLE GOVERMENT, SH…HOLE POLICE !!! THEY ARE AFRAID OF ANYTHING INCLUDING THE WIND ___GOD HAVE MERCY. She gave wrong information and has two passports (USA and Malawi) with different names. When you live in a grass house DON’T throw stones. Mkwidzingeni ameneyo. Obviously a stupid culture, arresting people because they don’t respect another person???? Get a life!